ZIMBABWE – Coalition or convergence has become as much of a mantra in opposition circles as sanctions and regime change are in the crumbling Zanu PF. True, obsolescence of Zanu PF is now a matter of when, not if. Like former Zambian leader Kenneth Kaunda and his UNIP, the late Kamuzu Banda and his Malawi Congress Party, Kenya’s Daniel arap Moi and his KANU, President Robert Mugabe is willing or at least destined to be buried with his party, Zanu PF. In dogmatic organisations where autocracy is foolishly celebrated, this is usually the norm of which Zanu PF is following the script quite religiously. However, weak as it certainly is, burying or cremating Zanu PF in 2018 is not “fait accompli” unless something major happens between now and then. For the opposition to start tossing champagne and doing barbecues in anticipation of total disintegration of the evil monster is not only premature but immature and naïve. 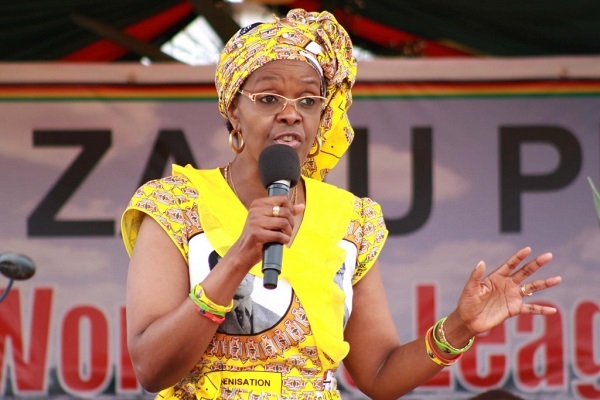 The reality, informed by past lessons, is that the road ahead is still long and thorny even though First Lady Grace Mugabe aka Hurricane Grace and her shrewd handlers have inflicted significant damage on our behalf. In 2008, if ex-Premier MDC-T leader Morgan Tsvangirai, Zapu leader Dumiso Dabengwa, MKD’s Simba Makoni, MDC leader Welshman Ncube, ex-deputy premier Arthur Mutambara and a few other protagonists had acted in utmost good faith, listened to their conscience and pulled together an effective coalition that confronted Zanu PF as one, by now, with or without rigging, we would be talking of something different. Some of us tried hard to knock sense into some of our leaders that a coalition was the most effective vehicle to stop Zanu PF. We simply can’t afford yet another gamble, come 2018 and be told to wait for 2023. No! Yes, there might have been Diego Maradona’s “hand of God” in the manner in which Zanu PF “won” the 2013 election, but the fact remains that again, fragmentation of the opposition movement made the bad situation even worse. On the other hand, Baba Jukwa gave false hope to some of our leaders who became dangerously complacent to the extent of not listening to anybody, not even Southern African Development Community. Blatant imposition of candidates with some being dropped at the last minute became second nature and the result was splitting the vote in favour of Zanu PF. In October 2013, three long, painful, sorrowful, stressful and uneventful months after July 31 which caused paralysis, shock and general loss of momentum in the opposition as a result of what was undoubtedly the greatest electoral fraud or at least puzzle of recent times which Zanu PF could not even celebrate, a few concerned Zimbabweans at home and in the Diaspora sat down and agreed on the response to this national crisis. The result was Zimbabweans United for Democracy (Zunde), then a non-partisan global movement whose primary objective was to rally all genuine, progressive and democratic forces in regrouping and confronting Zanu PF in a bid to continue the democratic fight to reclaim our freedom, dignity and humanity. The idea immediately gained currency across the globe. War veterans, farmers, students, and a wide diversity of professionals at home and in the Diaspora, came in droves. The freedom spirit had been revived. Our frequent, concise and consistent messages were well-received and more people came on-board, including a few moles that were flushed out along the way. We responded brutally to some amateurish cyber operatives and taught them a lesson or two. Seeing that the democratic train had actually not derailed, a number of parties started sprouting. Some for good reasons, others for bad. In the process, traditional parties realised that the freedom train was taking off again; they were forced to restart their stalled engines. In no time, the tracks were flooded. That was encouraging. However, flooding of the democratic space alone is not enough to dislodge Zanu PF. What we need now are competent men and women behind the signal panels so that the trains continue to run efficiently, effectively and with little chances of running into each other. We are sharing the same tracks, we must be sharing the same objective, the same timetable, the same client base. We are together, even though some don’t think that way. Now, what do we need to do in order to take maximum advantage of our collective efforts? Firstly, let us de-personalise our politics and secondly, let’s defragment our efforts. With the same goal in mind, let us reach out to each other in earnest and remove Zanu PF from power. Given that Zanu PF has traditionally crippled the opposition through targeting and harassing its leadership especially close to elections, a coalition makes that recycled trick a bit difficult, there will be too many players to deal with. Between 1992 and 1995, we had what was affectionately known as the “Dream Team”, which was our national soccer team coached by a simple but passionate and pragmatic German guy, Reinhard Fabisch. Arguably, it remains the best national team to be ever assembled in recent times. We had the best players picked from big and small teams across the country; Dynamos, Highlanders, Caps United, Rhinos, ZiscoSteel, Zimbabwe Saints, Mhangura and others. While in the national team or ‘squad”, the players virtually forgot about their individual teams and focused on the task at hand, playing for the nation. The results were there for anyone to see. We salute these guys, including those that have been called to another life. Despite diversity of origin and skill, our players had one head coach and one captain. While Dynamos and Highlanders contributed the bulk of players, they didn’t supply all players and did not come with their own coaches. Also, there was certain talent only found in the so-called smaller clubs that ultimately made a huge difference to the national effort. The best coach, coached the team, the best captain, captained the team and the best medic, looked after the team. It didn’t matter where they came from. Time has come, in the history of our politics, to emulate our “Dream Team” and come up with an effective coalition that knows no geographic, regional, ethnic, racial, religious, gender or partisan boundaries. It is time for Zimbabwe. Yes, Zanu PF is a dying horse but if we don’t collectively deliver that killer punch, it will be in and out of palpitations for years to come, causing a lot of damage in the process. A Herald columnist recently advised Zanu PF to “Unite or perish”. In the same vain, I want to advise the opposition to defragment or lose relevance. Coalition is not the same as acquisition or absorption of other parties as we saw with Zanu/Zapu in 1987 where a “new” party was formed and it was ironically called Zanu PF with Mugabe as the “new” leader. An effective coalition is more of a partnership, an alliance where all parties retain their individual identities but with a shared vision, purpose and common goal. Imagine if we wake up one day to the news that a convergence of opposition forces has unanimously agreed on candidates to contest the 2018 election as a single entity. What effect would this have on the terribly compromised and visibly weakened Zanu PF? The reason why this might not happen is not because it’s unnecessary. Rather, it will be because of individual egos, misplaced self-confidence, political immaturity capped with self-interest and myopia. If opposition forces genuinely believe in construction or delivery of a democratic, peaceful and prosperous Zimbabwe, then they must realise now, more than ever before, that there is more that unites than divides us. The love for our country, the duty of care for posterity and the quest for genuine freedom, equality and prosperity, must bring us together. Let us not be prisoners of personal differences or retrogressive preconditions. Colleagues, it is now or never.